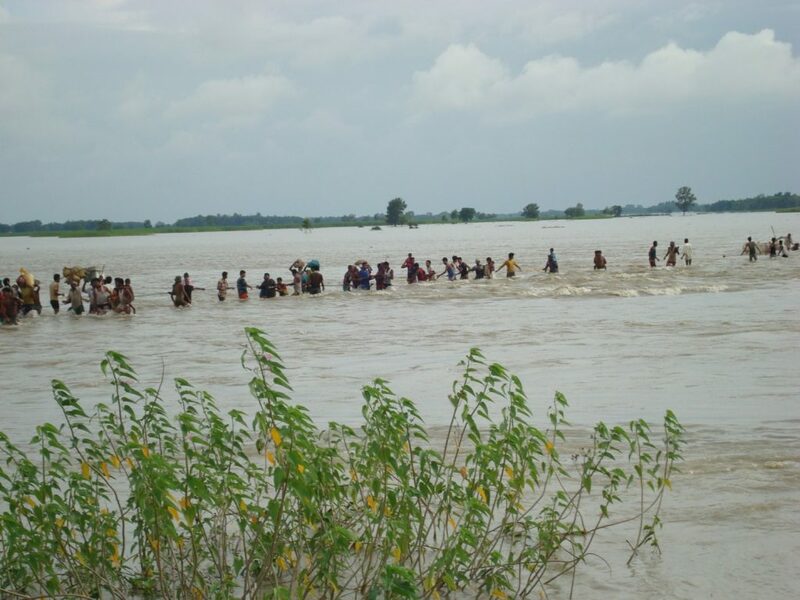 August 18, 2008–10 years ago to the day–the day is remembered for two reasons; first, Pushpa Kamal Dahal assuming office of the Prime minister (PM) and second, the catastrophic disaster of Koshi river that devastated the lives of millions in Nepal and India. 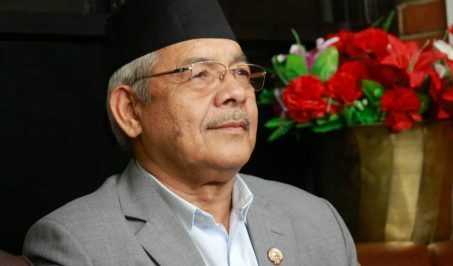 A decade since, Nepal has adopted a federal republic system while Dahal has transformed his identity as the joint chairman (along with the current PM KP Sharma Oli) of the largest party of Nepal but sadly, the fate of the Koshi river and the people living along its banks have largely remained unchanged. While many of us might have erased the tragic event from our memory, for the thousands of people in the adjoining villages, it has left a haunting memory for the years to come. 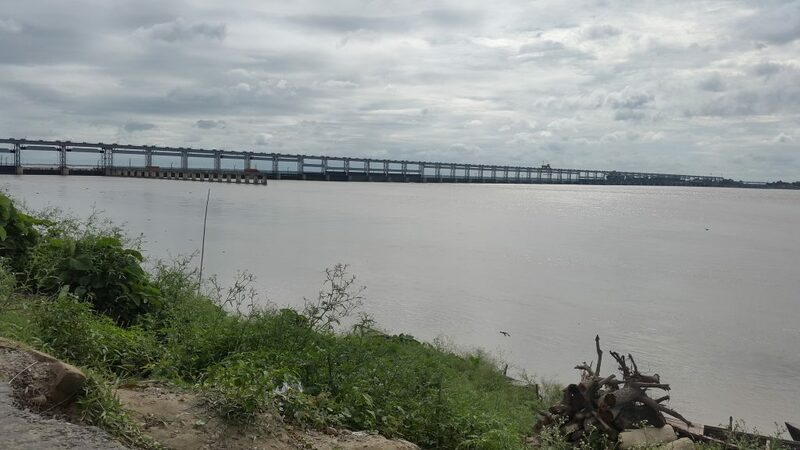 Koshi channel is confined between the two giant embankments about 4.5 meters high on both the banks right from the Koshi barrage to the upstream (32 km on left bank and 25 km on the right including downstream). These embankments are primarily made from earthen materials (clay, sand or silt) which cannot withstand the high stress that the river flow exerts. So to prevent potential erosion and damage to these embankments, structures called spurs are constructed. These structures protect the embankment by deflecting the high-velocity flow away from the embankments toward the channel. However, during this process, there is a high risk that these spurs will themselves get eroded because they too are made from earthen materials with some gabion protection around the tip where the impact of flow is maximum. Once these spurs start eroding, there is a high possibility that they will be washed away in no time. 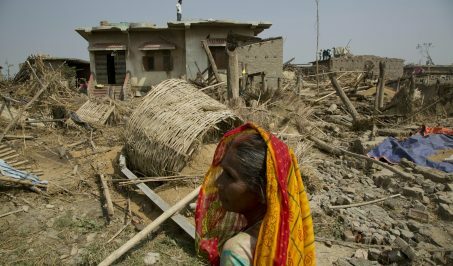 So what exactly happened during the 2008 Koshi flood disaster? Contrary to the long-term westward shifting trend of the Koshi, the flow had been concentrated along the eastern embankment for a couple of years. Being a wide river (as wide as 11km at some sections), Koshi contains multiple channels (braided) across its width and the river discharge is not uniformly distributed among these channels. One of the channels acts as a primary channel with a major proportion of the river discharge flowing through it. Between 11 to 14 km upstream of Koshi barrage, the majority of the flow was concentrated along the eastern embankment in the early August of 2008 (can be seen on satellite images, USGS). Some damage to the spurs at these locations were noticed few days ahead of the disaster (Sinha, 2008). In fact, these locations were identified as vulnerable a year before the disaster. A timely repair could have averted this tragedy, experts say. Prof. Sinha from IIT, Kanpur termed it more as a technical and administrative carelessness rather than a disaster. The treaty on Koshi consigns the overall management (including the maintenance and repair) of the barrage and embankment to the Government of India. Since the completion of the embankment in 1963, a total of eight major incidents of embankment failure have occurred. However, 2008 was the first instance where the embankment upstream of the barrage was breached. Eventually the magnitude of the damage was also greater compared to the previous instances. The disaster of 2008 occurred at a discharge four-five times below for which the barrage is designed for. The problem of Koshi, as many of us might think, is not only the large volume of water it brings in the monsoon but also the high proportion of sediments that it carries. Koshi is one of the rivers with highest sediment load in the world. The high volume of sediments that it transports from the upper catchment area, gets deposited in the lower reach due to the reduced gradient of the river which causes a change in the river morphology. Various studies have suggested that in the post-embankment period, the river bed has been consistently aggrading resulting in the reduction of channel capacity. The embankment on Koshi has outlived its effective lifespan; only trying to strengthen or heighten the embankment will rather amplify the flood risk. At the time when embankment on Koshi was being planned, Bihar chief engineer GF Hall mentioned that ‘embankment don’t control floods, they merely transfer the problem from one place to another’ (Dixit, 2008). 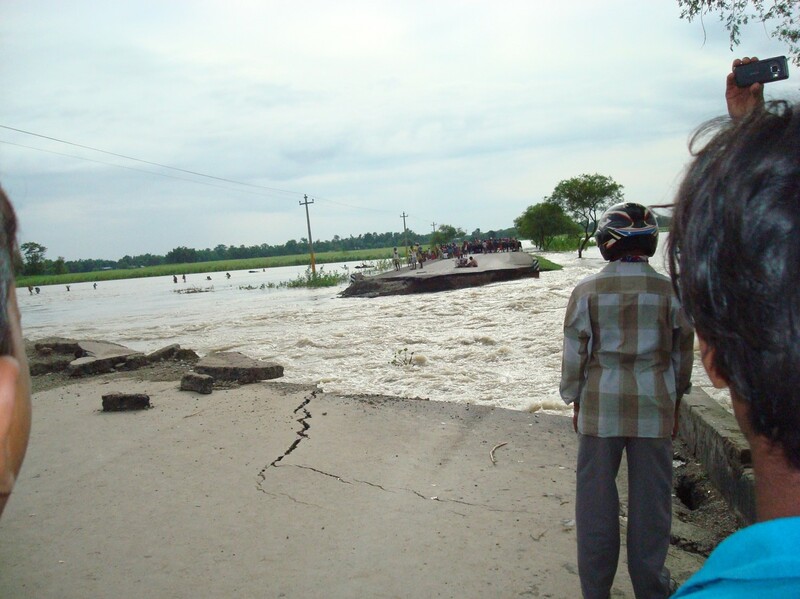 According to DK Mishra, an expert on Koshi flood issues, the flood-prone areas in Bihar have increased to nearly three folds since the implementation of embankments. Similarly, studies on Mississippi River, USA have shown that the efforts to tame the river through embankments have made it more feral. Such issues have left a serious question among us: Do embankments really control floods? Our conventional perspective of viewing the river system as consisting of a mere cubic meter of water needs to be changed. From a narrow hydrological perspective, the focus should be shifted to a broader and dynamic hydro-geomorphological approach which considers the linkage between water and sediments in the river processes. For example, the intake of Sunsari-Morang Irrigation Project near Chatara once had already been shifted to a new location as a result of the change in the river morphology which abated the withdrawal of design discharge. Similar problem has arisen again recently and the study is ongoing for the next alternative. This is just a case on how the geomorphological factors can impact the water-related projects and implies a strong lesson for integrating these factors in the future projects. ‘Rivers are the mirror of their watershed’ goes a saying. The high volume of sediments carried by Koshi indicates an excessive erosion in the upstream watershed which can be attributed to (but not limited to) unscientific human interventions. Any efforts to managing the river in the downstream area, must take into account these upstream dynamics. JICA in its Master Plan on Koshi, 1985 also clearly manifested the watershed management in the Koshi basin as an integral component of the water resources development. Meanwhile, Water Resources Ministry in India has already started drafting a policy for sediment management on its river systems for the sustainability of river environment and related projects. Disasters don’t come ringing an alarm bell. 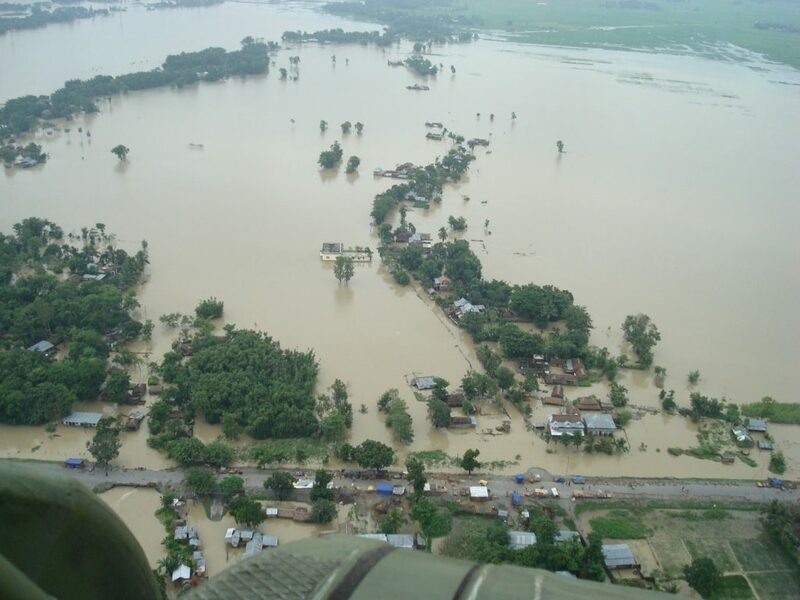 The 2008 disaster should have instigated an urgency for the long-term solutions to Koshi flood problems but the sad fact, no step has been taken in that direction. In fact, the barrage and embankments were envisioned just as a short-term mitigation measure while the recurrent disasters in the past have long prompted for an alternative approach. 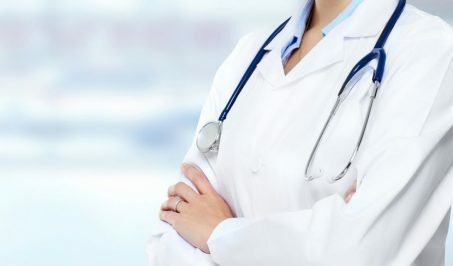 And any attempt to find a one-stop solution will again be a big mistake. 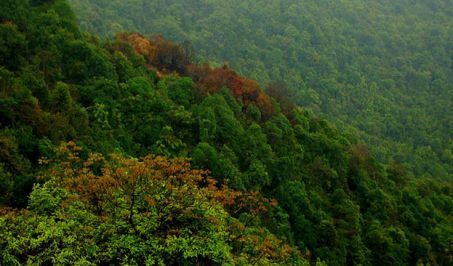 The dynamic nature of overall Koshi basin and its river system demands the shift from traditionally practiced ‘river control’ approach to the broader ‘river management’ approach which considers the multi-dimensional aspects of a river system. The planning and decision processes need to be based on sufficient scientific data backed up by rigorous research. Although some non-governmental research institutions have intensified their activities in the recent times, research works within the government institutions are almost nonexistent. 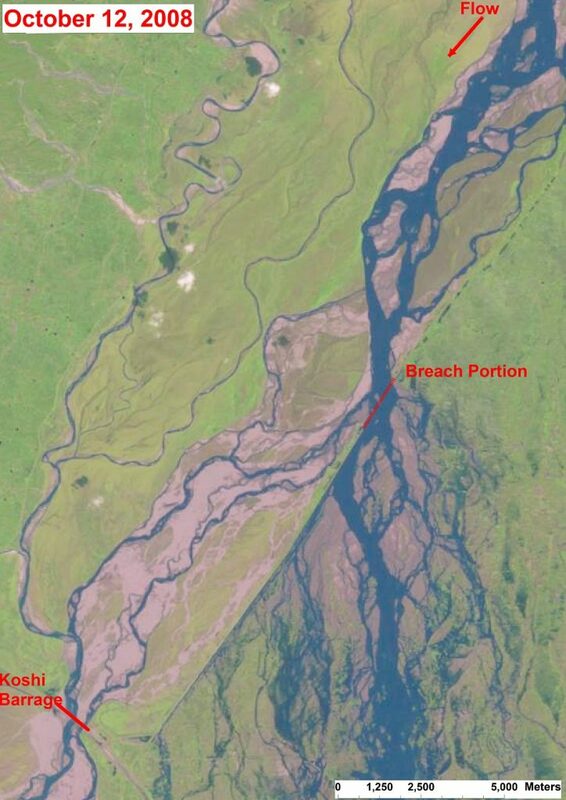 Satellite image showing Koshi River, Barrage and the breach portion. Another hindrance in the planning or research process is the lack of data. Sufficient network of data measurement stations needs to be established to better represent the spatial heterogeneity of the basin which is crucial in understanding the underlying physical processes in the basin. Being a trans-boundary river, it might be inevitable in the future to form a common portal for data and information sharing between upstream and downstream nations. A high-level commission on Koshi basin (or a river basin authority) comprising of a panel of experts may be formed to reassess the future perspective on the overall water resource management of Koshi basin taking a lesson from the past pitfalls. 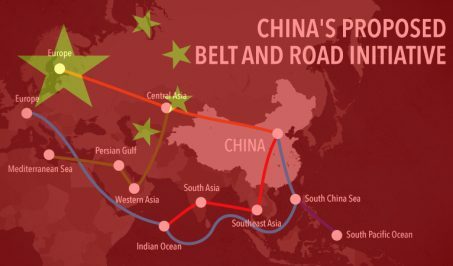 The talk on the development of inland and trans-boundary navigation system has already gained momentum. It would be better if we proceed with the overall basin development plan and deal with navigational aspect as an integral part of the overall plan. However, there is status quo bias between what is desirable and what is viable. There cannot be a better way of achieving prosperity than through optimum use of water resources. The goal might not be achieved overnight but at a time when we have a stable political scenario under a strong government, the foundation can certainly be laid in the right direction. We have talked the talk for far too long. It is time to walk the talk. The authors are associated with the Department of Water Resources and Irrigation, Nepal.